In the programme 60 Tips for Learners of English, world-famous educators and highly-qualified teachers from different countries give practical advice and reveal the secrets of effective learning. The programme is intended for viewers of intermediate level, but can be suitable for any learner at a higher level. Each episode is divided into five parts of the same topic. Each part features one practical tip for learning English. With the help of this programme, viewers can make quick progress in learning while applying the most efficient strategies and techniques. They will find out about some useful books, apps, interesting shows that will increase their motivation and much more. 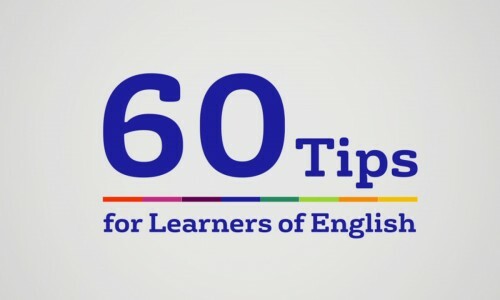 60 Tips for Learners of English is a great programme for those who want to reach perfection in English.